The history of Mazda began as the Toyo Cork Kogyo Co Ltd was founded by Jujiro Matsuda in 1920. The company manufactured machine tools for numerous industries in Japan. However, in 1931, due to low profits, the company decided to shift its attention to vehicles and introduced the famous three-wheel truck called the Mazda-Go. Let’s discuss more about the Mazda logo, the company’s history and their latest models. Sixty-six units of the Mazda-Go were sold in the first year. However, since the company did not have its own sales network, most of the vehicles produced by Mazda were marketed through Mitsubishi, which used its emblem on Mazda products. Soon, due to the impending war, the company shifted its interest to producing weapons for the Japanese military. In 1945, the atomic bomb incident occurred in Hiroshima. The company had no choice but to cease production of automobiles for several years. Nevertheless, by 1949 the company was up and running again and began exporting its 3-wheeled trucks to India. Many vehicles introduced throughout the 50s and 60s used the name ‘Mazda’, but the company’s name remained unchanged. 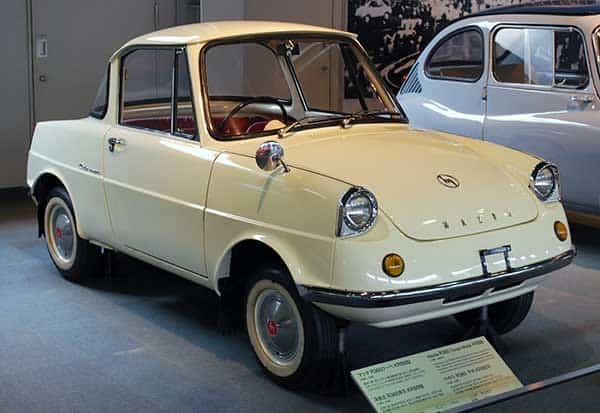 In 1960, Toyo Kogyo introduced its first two-door passenger vehicle known as the ‘Mazda R360 Coupe’ (Picture above). A year later, the company introduced the famous B-Series line of pickup trucks, which is still incredibly popular around the world. In 1962, the Toyo Kogyo began local assembly in South Korea and introduced its first 4-door passenger car, the Carol 600. In 1963, production reached 1 million and the company decided to start local assembly in South Africa. That same year, Toyo Kogyo introduced the Familia Van and the E2000. Two years later, the Mazda Proceed, Bongo, and Luce debuted, all of which were major successes in Japan and sold extremely well. By 1959, Mazda signed an agreement with Ford and Nissan, thus forming the Japan Automatic Transmission (JATCO) company. In 1970, the famous Capella (RX-2) was announced and the same year Kouhei Matsuda became the president of Toyo Kogyo. A year later, the company began supplying the Courier to Ford and by 1973 began local production in the Philippines. In 1975, the redesigned Capella and the famous Mazda Cosmo debuted and by 1978, cumulative production had reached a million units. In 1984, the company dropped the Toyo Kogyo name and formally adopted ‘Mazda’, as its official name. In 1985, the production rates of Mazda-Rotary engines exceeded 1.5 million units and the all-new Luce (929) was introduced. A year later, the company’s production in Japan exceeded 20 million units and Mazda decided to open a new research center in Yokohama, Japan. The same year, Mazda Motor Manufacturing USA also began production. In 1988, the company fully redesigned the famous FWD Familia and then moved on to establish the Mazda Autozam and Mazda Eunos dealership channels. The 90s were an incredibly successful period for Mazda and the company’s production exceeded 25 million units. This is when Mazda introduced many famous vehicles, such as the Az-3, Presso, Cronoss, Scrum, Anfini MS-9 and 6, and of course the Anfini RX-7 which gained a lot of success worldwide. By 1995, the production rates of passenger cars in Japan exceeded 20 million units and Mazda became the first automobile manufacturer to acquire ISO9001 certification. The same year, Henry D.G. Wallace became president of the company. In 1996, Mazda introduced its brand-new symbol, the Mazda ‘M’ that is currently used on all automobiles manufactured by the company. A year later, Mazda introduced the fully redesigned version of the Roadster, which immediately became a hit in the Japan market. Additionally, the company strengthened its drive in Europe. By 2002, Mazda began the production of the RENISIS rotary engine, and even introduced one of its most popular cars, the Mazda RX8. 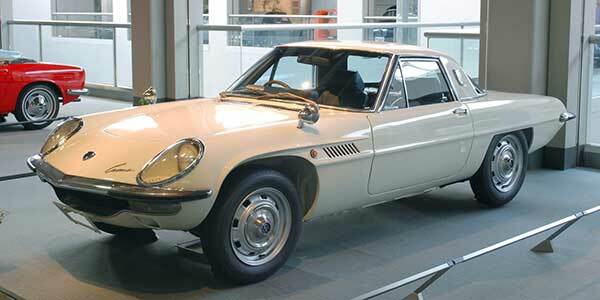 The same year, Mazda won the award for the International Engine of the Year for its RENISIS rotary engine. By 2009, the company introduced the powerful next generation ‘Sky-D’ and ‘Sky-G’ engines, both of which became immediate successes. By 2011, the CX-5 was introduced, which is the first Mazda vehicle to offer SKYACTIV technologies on gasoline and diesel engines. In 2013, the company launched its new micro-mini Flair Crossover vehicle, and signed a contract with Fiat to produce a new Alfa Romeo roadster. 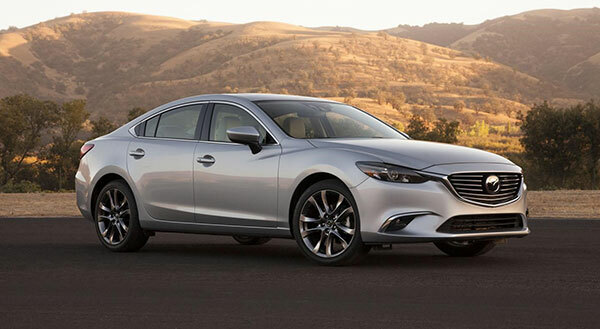 Now, Mazda exists as the 15th largest automobile manufacturer by production, worldwide. It has yearly revenue of ¥2.3 trillion and 37,745 employees. The name ‘Mazda’ derives from Ahura Mazda, the highest Zoroastrians God, who grants wisdom to unite nature and man. The company website, on the other hand, states that the name is derived from the company’s founder, Jujiro Matsuda. In 1991, the Mazda 787B won the Le Mans 24-Hour Race, which was the first time a rotary engine had ever won a race. Mazda’s factory at Hiroshima is one of the largest single-site plants in the world. The plant has an annual production capacity of more than 500,000 cars. As you can see from the Mazda history, the company has been through great struggle to reach where it stands today and introduced some of the best cars in the world. It’s one of the best Japanese car brands currently. Do you find any car interesting? If so, then perhaps it is time you enjoy the adventure into history yourself and purchase a Mazda!